Kylie Jenner decided to take her four-month-old daughter Stormi off social networking sites after she started receiving kidnap threats. The 'Keeping Up With the Kardashians' star made the decision to delete all the photographs she's put up on social media of her four-month-old daughter Stormi, whom she has with her boyfriend Travis Scott, recently after she began receiving ''horrible insults'' and frightening claims about abducting the baby. A source told The Sun Online: ''There have been an increasing number of trolls on social media calling Stormi ugly, and throwing out really horrible insults. ''It's been really upsetting for Kylie, because also some of the comments are direct threats to kidnap her. Some people have commented saying it's all Kylie's fault because she has exposed her by putting her on social media. The terrifying threats have encouraged the 20-year-old beauty to re-evaluate her security and she's decided to have protection with her ''at all times'' from now on. Kylie uploaded a photograph on Sunday (10.06.18) of her cuddling up to Stormi but she had cropped the image so that no one could see the little one's features. This isn't the first time she has opted to restrict what's posted on Instagram. 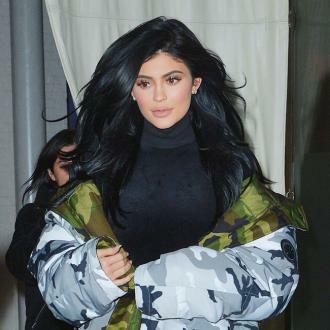 The young entrepreneur took herself out of the limelight while she was pregnant with Stormi because she wanted to focus on the ''next chapter'' of her life and, although people were speculating that she was expecting her first child, Kylie didn't confirm the news until she had given birth to the tiny tot and shared a cute montage online. 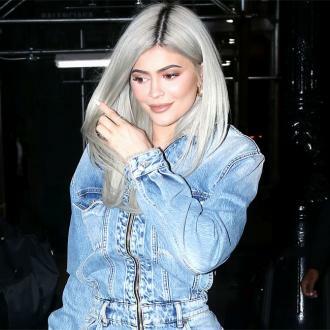 Prior to having Stormi, Kylie said she'd quit social media altogether when she became a mother, move out to a farm in Malibu and ''live life'' without her phone.